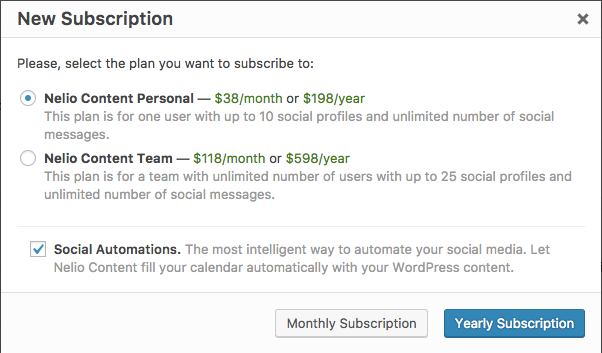 In a previous post I commented on the pros and cons of selling WordPress plugins with a Saas Freemium model. Related to the same theme, in this post I would like to share expert recommendations and our own experience on how to increase the number of free users who become happy paying customers. Knowing where you stand in relation to your competitors helps to position your product, determine the best acquisition channels, make a pitch to potential investors, and more. But, watch out, the subject is more complex than it seems—when we talk about SaaS Freemium businesses, maybe not everyone should focus on the same metrics. What differences do we find here? The concept of recurrence is not the same in all SaaS. 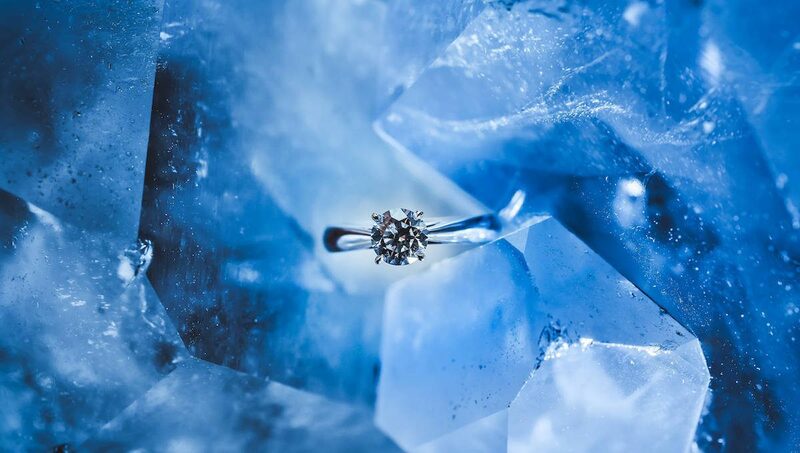 Even within the same business you might be able to identify customers that actually follow a recurring revenue model and others that have a market with transient customers that come and go. Consider the following example: our plugin Nelio A/B Testing, for which we’ve clearly identified these two types of customers. On the one hand we have those who continuously perform A/B tests. 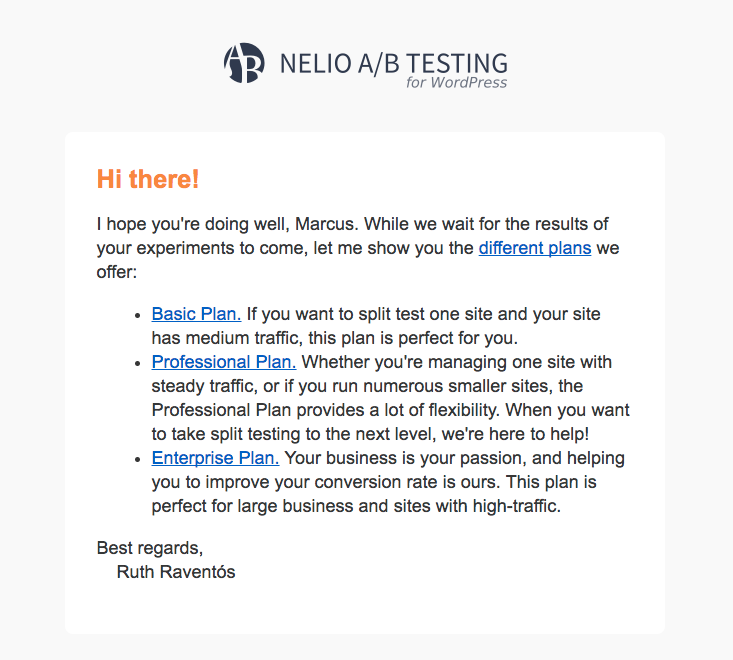 Here we talk about publishers or bloggers who use Nelio A/B Testing to systematically create A/B tests of their content, their headlines, etc. It is clear that, for them, the use they make of the tool follows a recurring model and, therefore, it seems logical to use the typical metrics of any SaaS (churn-rate, CAC, LTV, and so on) as a reference. Another issue you should never forget is not to confuse Freemium with Free Trial. Remember, in a freemium model you offer two versions of your product: a free version and a paid, premium version. In the free trial model, on the other hand, you have a premium product only, but you allow the user to try it free for a limited period (usually 15 or 30 days). The conversion figures for a freemium model hardly reach double digits, but if you are in the second scenario and your SaaS company reaches a conversion rate of 10% after the trial period, you should worry. And to complete the picture, you also have to keep in mind that it’s not the same to use an opt-in free trial than to use a opt-out free trial. Opt-in free trials are those free trials that can be started without a credit card where the prospect needs to opt-in to a subscription by providing payment details during or after the trial is over. Opt-out free trials are those free trials that require a credit card to get started and that you have to actively opt out of or it turns over to a subscription at the end of the trial. I already commented the pros and cons with which we find ourselves when trying different models. And, of course, the conversion rate in each case will be quite different. So, I insist, if you want to compare with other businesses to evaluate your progress, avoid comparing apples and oranges. And after the previous preamble, we come to conversion rates. Tomasz Tunguz of Redpoint Ventures analyzed 41 SaaS companies and the average figure he gave was that the conversion rate of a freemium business is between 2% and 4%. But you can even find much lower rates—for example, according to recent stats by Dropbox, the service has almost 500 million users, but only 175,000 of them are paying customers. That is, for every 10,000 Dropbox users, only 4 pay. Or paradoxically, you can also find companies that have very good conversion rates, but the cost of maintaining the freemium model would have almost sinked them into misery, as explained by, for example, Baremetrics or Chargify. Very illustrative image of how a freemium model can sink your boat (Source: How freemium nearly caused our business to implode by Josh Pigford of Baremetrics). In the case of trial periods, you will find different figures as Nicholas Holmes comments in Is Your Trial to Paid Rate Too Low? He tells the conversion rate in case of opt-out (requesting credit card) can be between a 30-40% (normally corresponds to customers who were already willing to pay) and in case of opt-in (no credit card requested) between 2% -3% (as you can see, we are going to figures that are more similar to freemiums). But in the case of opt-out, you can also find higher figures like SEPmoz which posted having a conversion rate of 56%. Well, now you have an idea of how things work. Keep in mind that, in any case, these figures alone are not enough to evaluate whether a company is going well or not. Moreover, you should also know the cost in convincing a customer to buy your product (CAC), how much you expect to profit from that specific user (their life-time-value, or LTV for short), the churn rate, etc. And, please, do not just look at the metrics that work—it’s an easy mistake to make when you have a startup and you need to get up your spirits 🤔. So, here comes the million dollar question: seeing those numbers, is my conversion rate low? And the answer is always yes. I repeat: the answer is always YES. Regardless of the rate you have, your goal should always be to improve it—never settle for the rate you have, even it is better than that of your competition. If you have a fairly broad base of free users, notice that going from 1% to 2% means that, by keeping the other metrics constant, you will double your revenue. That’s why focusing on improving your conversion is so important! But, which strategies should you implement? When a user first installs or tests your free product, it is probably the moment when he is most enthusiastic about using it. If he likes it, he’ll be more likely to become a paying customer. It is clear that if in a freemium model your free version is not attractive enough, you have already lost your best chance to get a new client. So do not limit the free version too much unless you want to loose quickly a customer. And my recommendation is that, if you can bear that cost, offer a great support service to the free users. Develop the product so that upgrading to a paid version does not involve making more than two clicks or having to browse too many pages to make the purchase. Subscribing should be a straight-forward process—a simple popup asking for the required data should suffice. After clicking on Subscribe, a new popup appears where the user can choose the plan to which he wants to subscribe. 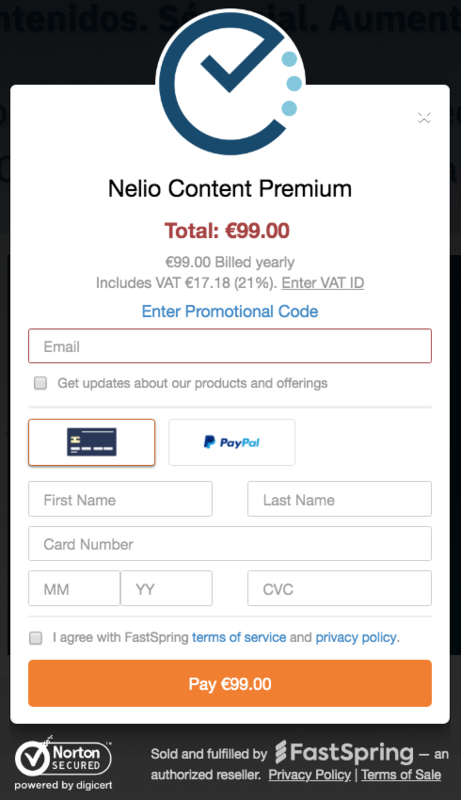 Screenshot of Nelio Content plans you may subscribe. As I said before, the user who starts trying your free version is very motivated. Help him so that he makes the decision to subscribe. A good strategy for this is to send him a series of emails in which you invite him to ask you any questions he may have, or alternatively, offer additional resources where he can know more details of the benefits of using your product, etc. For example, during the first 15 days of Nelio A/B Testing‘s trial, we send a set of emails that guide users throughout their first steps and describe the benefits of subscribing. The content of these emails is different depending on the user’s use of the tool. The click to call-to-action rate these emails offer is 30%, clearly above the figures you find in the email benchmark offered by Mailchimp. And linked to the previous strategy, seeing that the click rate is quite high, do not hesitate to include a special promotion in any of the emails you send. If your potential customer is happy with the free version, it’s all about encouraging him or reminding him from time to time the extra benefits he’ll get with a premium version. In general, a user who is using the free version is quite used to that this type of advertising popups. But do not exaggerate; the experience he has to have with the free version has to be nice, special … and a too much popups is not a pleasant experience. One of the disadvantages of opting for a Freemium model is that users may not get to know the advantages of your premium version over the free version. Perhaps the best strategy to counter this drawback is to offer the user the use of the premium version over a period of time. In this case, the user must be aware that he is testing a premium version and that, once the trial period is over, he will return to the free version, losing the premium features. This system is clearly the best way for the user to test the full potential of your premium version, but it is not always easy to implement, especially its “ending”. For example, if it is a CRM that allows you to create a database with many customers and schedule the sending of large number of messages, what happens to all the information the user created after the trial period ends? If the user didn’t subscribe, you might want to delete everything… but if he subscribes right after that, did he lost everything? Complicated! If you have a good product, getting users who are willing to use it for free is quite easy. The tricky part is getting these users willing to pay for it. The key in the whole process of improving activation from free to paid is to get your users to know the added value of your premium version as soon as possible. If they do not see the value and benefits that you can bring them, you have lost them. But each product is different and the cost of keeping users free can also be very different. So, before throwing yourself into the pool to implement very complex models, consider all possible scenarios.